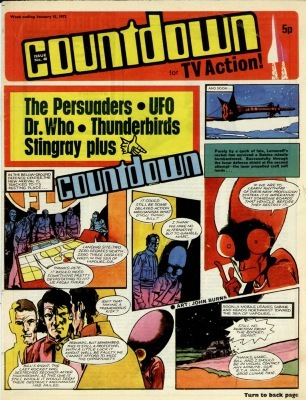 Exactly forty years ago this month, Countdown comic had The Doctor concluding The Eternal Present, before starting a new adventure, *Sub Zero. 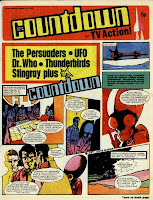 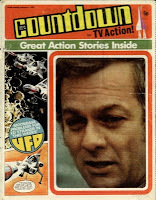 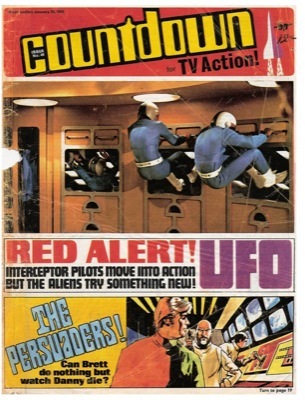 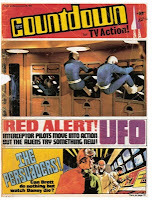 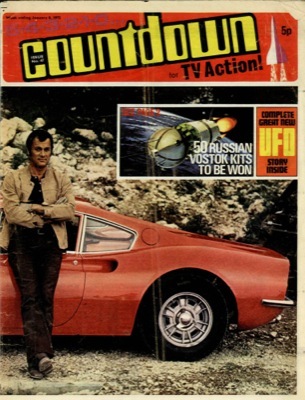 From issue 46 the comic was retitled Countdown for TV Action! 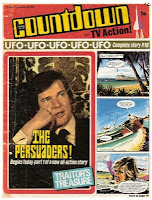 the complete comic in PDF format. 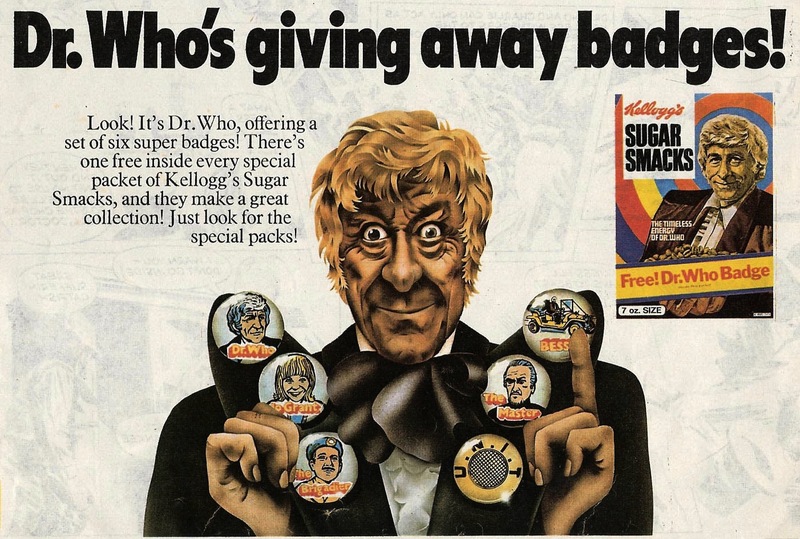 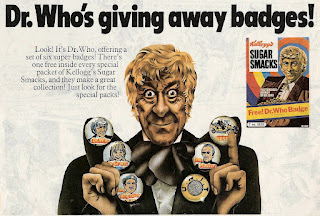 In November I showed you a clipping of an advert for a series of badges being given away in packs of Kellogg’s Sugar Smacks. 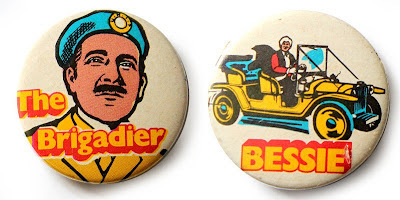 Well here is the third and fourth of these badges: The Brigadier and Bessie! 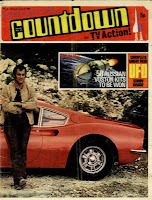 An episode-by-episode guide to the costume combinations worn by the Third Doctor.